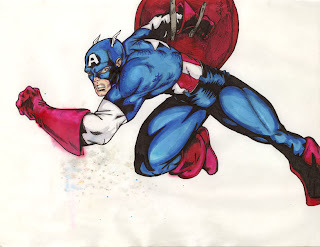 I found this old Captain America from August 2000 the other day. I just thought I'd share. It appears it got wet somewhere along the way... that's what those specks are. I just didn't feel like cleaning it up. that's crazy. I remember when you drew that. that was a longgggg time ago.